Waring Commercial presents: WCIC20 2 quart compressor ice cream maker. This unit features an easy-to-clean stainless steel exterior and touch controls, as well as a batch bowl and mix-in lid to add ingredients without interrupting the process. The batch bowl is removable for easy storage and cleaning. The mixing paddle incorporates the right amount of air. This unit makes up to 2 quarts of ice cream in only 30 minutes and allows you to customize your flavors! For added convenience, you can also use this unit to make sorbet, gelato, and frozen yogurt. Find recipes online at waringcommercialproducts.com. The Waring 2 qt. ice cream maker does it all - ice cream, sorbet, gelato, and frozen yogurt! Watch this video to learn more about its benefits and see how it can help your business grow. 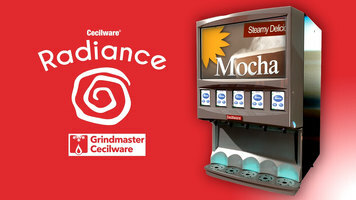 Take a peek into Gridmaster Cecilware's Radiance powdered beverage dispensers, and how they attract customers with their video merchandising display. 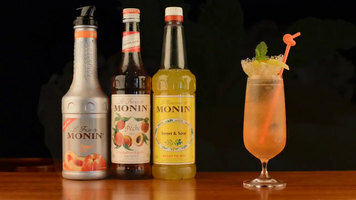 Serve your guest a delicious peach drink using Monin peach syrup! Watch this video for the complete recipe. 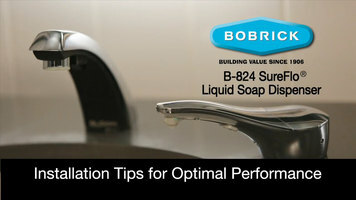 Install your Bobrick Sureflow dispenser with these simple instructions! Once finished, your customers and employees can enjoy an automatic soap dispenser with convenient top filling and portion adjustment features.